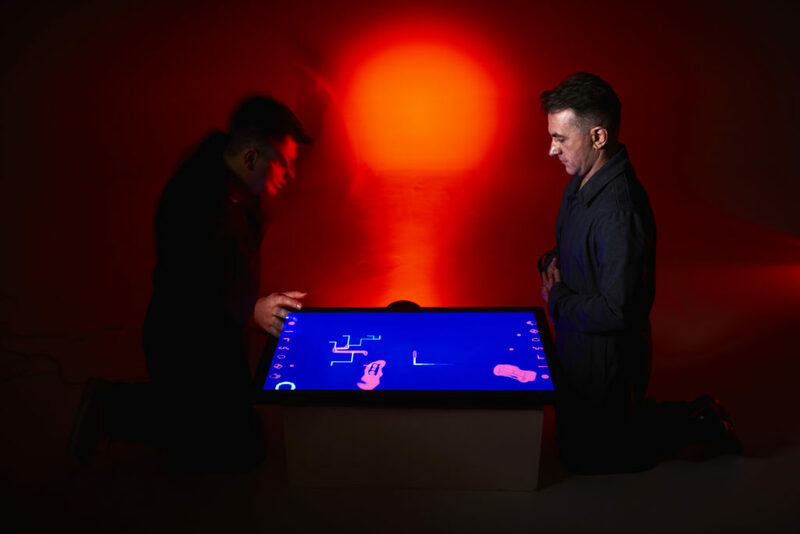 This sonically abstract and texturally rich project features a massive projection and a multi-touch table-top console by The Duckworth Hullick Duo. Real-time computer-generated https://www.ncmh.info/valium-diazepam/ virtual avatars (or critters) will roam the virtual performance space, responding to sound and movement. The critters, each with their own sound world, become autonomous co-performers in the work, interacting with performers and each other. The exhibition is a premier showing of the installation iteration allowing the public to freely play and interact with the DC console to create their own immersive audiovisual experiences. Disruptive Critters explores digital disruption through the theatrical and performativity of autonomous computer generated agents, interactive media and digital design. Using a multi-touch tabletop console, audiences, or players, activate real-time computer generated virtual avatars (or critters), which roam the virtual performance space. The critters, each with their own sound world and gestural repertoire, become autonomous co-performers in the work, interacting with players and with each other in seemingly unpredictable ways. Players will be immersed in a responsive, interactive world where virtual beings teem and flock, collide and collude in various forms of playful mischief. The DHD is a collaboration between researcher and designer Dr Jonathan Duckworth (RMIT), and composer and sound artist James Hullick (Jolt Arts Inc). This development of project has been supported by the Australian Government through Australia Council for the Arts and the Victorian Government through Creative Victoria.